Founded in 1978 by educational visionaries, Lois Loofburrow, Dennis Collins, and Mal Singer, at San Francisco University High School, Summerbridge is an award-winning, tuition-free, year-round and summer intensive academic enrichment and advocacy program and was the original site and inspiration for The Breakthrough Collaborative. Although we still carry our original name we are a proud partner and affiliate with the National Breakthrough Collaborative. Preparing ambitious middle school students from under-resourced circumstances to enter and thrive in well-matched high schools, for the purpose of securing admission to, succeeding in, and graduating from college. 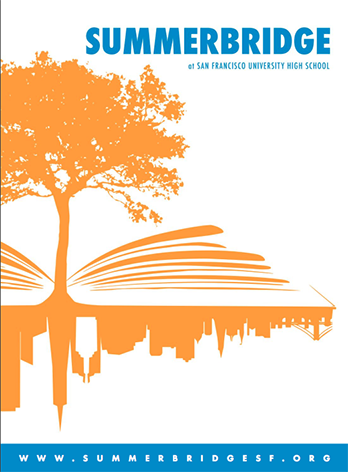 Providing intensive summer teaching fellowships for high school and college students who are passionate about the power of education, and creating meaningful volunteer experiences throughout the academic year for members of the UHS and San Francisco communities. Transforming lives through the unique and powerful relationship between the Summerbridge and UHS communities and their families. Summerbridge involves a full-time summer academic enrichment session and a school-year academic program. Students attend the six-week summer session over three consecutive summers and spend two years with Summerbridge during the school year. During the summer, students take classes in math, humanities, and science, grade level co-curricular classes, and numerous non-academic electives (including the arts and athletics). The school-year academic program features academic enrichment courses, after-school tutoring and homework help, high school counseling, and Secondary School Admission Test (SSAT) preparation. Summerbridge embraces a "students teaching students" philosophy. Most classes during the summer are taught by a staff of technical fellows, enthusiastic high school and college students from Bay Area high schools and colleges, as well as from universities and colleges located throughout the country. These older students lead almost every aspect of the program and plan nearly all of the activities, events, and field trips. Professional teachers with extensive experience in education serve as mentors for the student teachers. The commitment to "students teaching students" remains the same as it ensures that Summerbridge remains an energetic, exciting, and creative environment for students and teachers alike. Summerbridge has transformed the lives of over 1,200 middle school students and nearly 650 high school and college-age "teachers." 95% of Summerbridge students have enrolled in academically rigorous college preparatory high schools. 80% of our students have gone on to four-year colleges and have pursued careers in medicine, business, law, art, and education. 72% of Summerbridge teachers have gone on to work or volunteer in schools or other organizations that promote educational equity. "My daughter went from a very average student to an A-student—all because of Summerbridge," said a parent of one of our ninth-grade students. "Summerbridge has made me realize that having fun and learning at the same time is possible...[the college workshop] was helpful because I will be the first in my family to go to college," said a Summerbridge student.